There are 168 single family homes in Oyster Bay Estates near downtown Sarasota. Many of these Sarasota homes were built many years ago, and this neighborhood provides lush foliage in its established community. Homes styles in Oyster Bay range from Old Florida-style to magnificent Mediterranean mansions on the waterfront. Some of the Florida ranch style homes are still available and waiting for some tender loving care or a major update. Oyster Bay is minutes from downtown Sarasota's cultural venues, shopping and dining. Residents enjoy the convenient location to beaches, hospitals and all professional services of our city. The Sarasota MLS reports in its database 16 active listings in Oyster Bay. 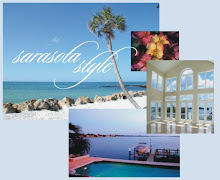 Five beautiful MLS homes listed are on Sarasota waterfront: canal or open Bay. In the last six months, there were three homes sold in Oyster Bay Estates and prices ranged from $300,000-$1,475,000 for this popular West of the Trail neighborhood. If you are searching the Sarasota MLS for a waterfront homes in Sarasota and think Oyster Bay, West of the Trail in Sarasota, may be your new neighborhood, call Annette Smith at 941-504-3922 or send me an email. We answer emails promptly. Schedule an appointment today to see the best homes in Oyster Bay.